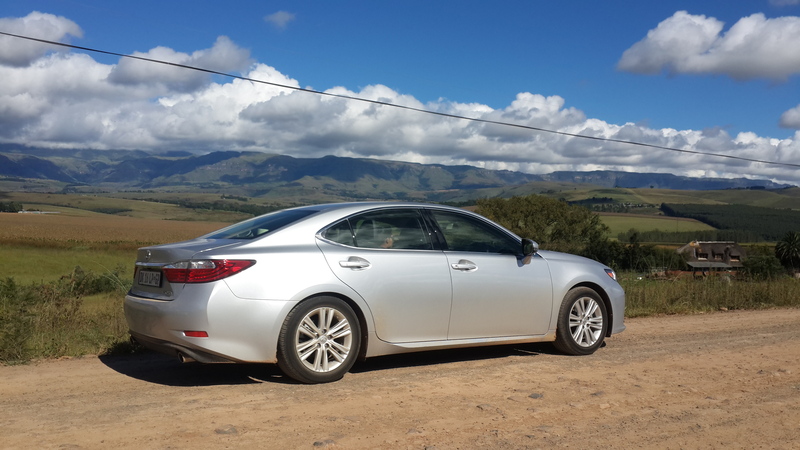 We look at the Luxury Lexus ES250, on a long drive from Johannesburg, down to Durban and the Berg. Lexus call this car luxury redefined and I tend to agree! As a person who regularly drives a BMW 3, the comfort and soft touch finishes in this lexus really do a great job in extending the brand to a new market. The IS350 starts at just over R 500 000, which for some, is really too much to pay for a car that no one knows anything about. I say this because a quick survey in my office revealed only 2 lexus drivers out of a staff of over 500. For some reason, the above the line marketing from Lexus is as discrete as the car itself. It is very, very capable on the open road, and while driving the car down to Durban from Johannesburg for the passed Easter weekend, I kept wondering to myself, why I haven’t read or heard more about this amazing car! As a “blogger/motor journo”, I think the main reason is the drive and actual feedback in the car, but I will get into this a bit later. I think that journalists that write about cars, and make videos about them, are looking for the Fizz, the Nacchas, the Guts of the car – that reveals its true personality when on the drive. The Lexus is very quiet, and cool about what it is. It doesn’t shout at you like a BMW M3. It doesn’t make you feel superior to the other commoners, driving around in normal Hatchback cars like a Mercedes Benz would. In fact, it is as soft as an Audi to drive, but it will never tell you that directly. This car, and I think all of Lexus, is about Saying something, without speaking a word – to borrow directly from one of their advertisements. Now, onto the car itself. The car`s design is still very understated. 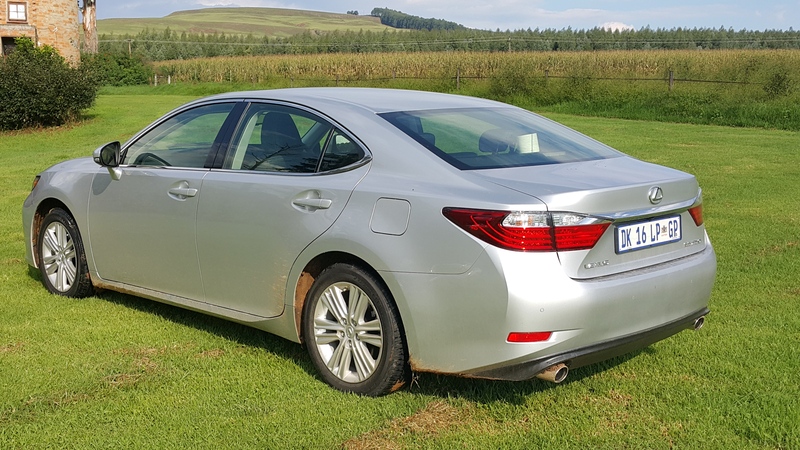 When you look at the side profile of the Lexus, it appears extremely long (4.9m), and as soon as you jump into the car, especially as a rear passenger, you are instantly aware of how much space this car has! 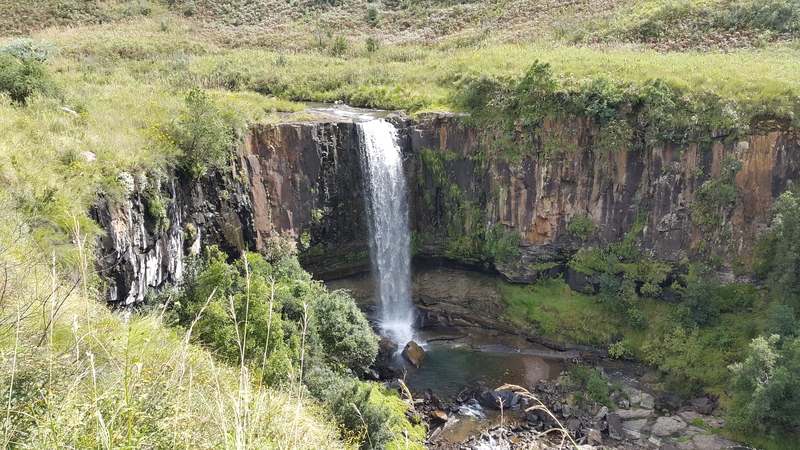 I had my gran and mum in law as rear passengers on our trip to the Drakensberg from Durban, staying in the champagne valley. They both are very used to the 3 Series BMW 320 I E90 we bought in 2011, influenced heavily by me as a former BMW sales person. This car has miles of legroom, very soft leather seats, and the front seats come with seat heating as standard. If you have anyone that is elderly driving with you, the seat heating alone would be a great reason to get this car for family, especially with the cooler climate we feel in Gauteng. The doors are not too heavy to close, and even with this “light and airy” approach to design, the car still feels very safe to drive on the road, in what was typical KZN Midlands rainy/cloudy weather. The interior feels very plush – I must say not as luxury focussed as any Mercedes I have driven, but also not as sparse as my own BMW F30 320D. This car is somewhere in the middle of those two cars, and I do appreciate the balance of their design, with interior space and comfort. The back seats in particular are some of the most comfortable I have felt in a long while. So, no massive scoops or rear boot mounted wings! No insane German imported body kits either. Just good, strong Japanese engineering, make up the ES250. Even with it only being an entry level model, the ES speaks volumes about what this brand stands for. While driving the car down to the Coast at night, what became immediately apparent was how useful the Blind Spot Monitor was, which includes lane change assist. So imagine the lexus in the slow lane about to overtake a truck and move to the fast lane, as it does so another car appears in the blind spot, and on the right of the Lexus, the blind spot indicator flashes in the side view mirror in Bright orange. This is a fantastic tool, and it works even when you are not overtaking. It merely flashes to indicate that another vehicle is in your blind spot. In terms of Airbags, the car has 10 of them. Even the rear camera, which automatically switches on when you select reverse on the Auto box, saved me the hassle of driving over the kid`s toys and bike when reversing from the chalet driveway. This car would definitely be handy for anyone who has spinal/neck issues, with the camera and the blind spot monitor, saving you from turning your neck all the time, especially handy on longer drives. In terms of ratings, the only test we could find was the NHTSA ( American road safety body), that gave the ES a rating of 5 stars overall for both the Hybrid and Petrol versions of the ES. 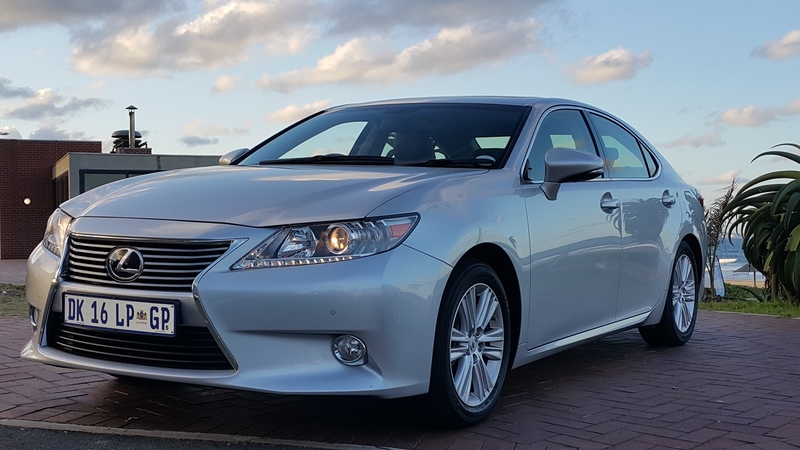 The car we tested was the ES250, and with 10 airbags; seatbelt warnings and isofix for children in the rear, we can totally recommend this car for keeping families safe. The car handled very decently. I did expect it to under-steer a bit, having driven a GS350 a few years ago. The handling is good for such a big car, and it is very easy to drive. The engine is powered by a 2.5 lt 4 cyclinder motor, which didn’t strike me as impressive to say the least. Lexus needs to catch up with the competition in this regard, with most of them employing the use of turbo`s to reduce the overall engine capacity but at the same time improve power and efficiency. On our trip down to the coast, the car showed 12.9 l/ 100 km at start and by the time we reached Durban was on 9.9 l /100 kms. On our trip to the berg and back home to Johannesburg, I got it down to 9.7 l/100 keeping the aircon on low and the average speed at 120 km/hr. At that average speed, the Lexus seems to be very comfortable and quiet. The lack of road noise and ease of the electric steering, were two points that kept me happy in the Lexus! I just wish it had a little more grunt, but even with less torque than I am used to, I would still be happy to use to clients and back for my daily drive. Think of the overall feeling in the Lexus as one that is the Swan Lake Ballet, more than a trance house marathon that is my sporty BMW. Even after 6 hours of driving – my back didn’t ache as usual and the aircon is probably the most effective one in the market right now, of any luxury car I have driven. If you are the type of driver than doesn’t want extra power, and extra feedback about the road surface through the steering – this could be the perfect car for you. 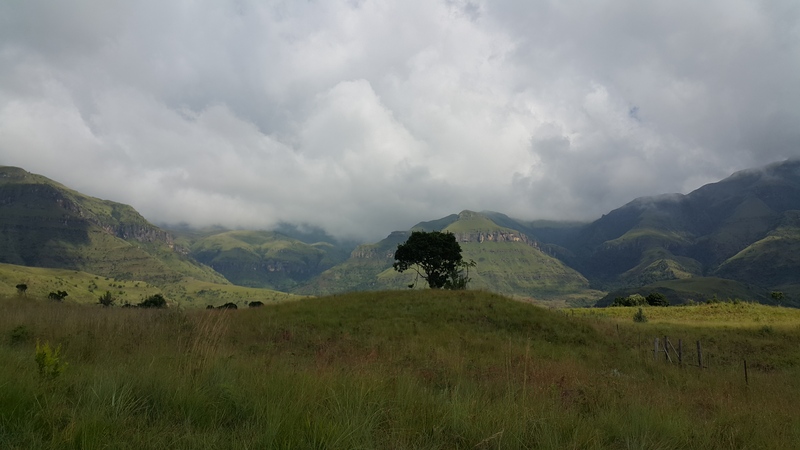 What was amazing was not hearing a single creak or squeak when driving over a few dirt roads in the KZN midlands. We drove about 4 kms each day on dirt roads, and I didn’t hear a single sound coming from the interior – that was really good! On the dirt road, we didn’t hear any funny sounds – no creaking and squeaking! Picking up the car, I was initially more excited than a 4 year old at her Birthday party! I realised a few glitches after a couple days of testing, and with this being the longest review we have done, I have to mention them here. I hated the Remote Touch system – it was generally inaccurate, especially with regards to the onboard NAV system and my inability to call up records from the telephone Bluetooth system while driving. This is of course a safety feature, but I wonder if Lexus expect us to stop our cars for everything we need to access. Even inputting a new address, which could be done by my spouse while I was driving, could not be done unless the car was completely stationary. What also wasn’t great, was not being able to see my consumption and range in the centre of the instrument cluster. Most competitors in the luxury market, allow you to scroll through 4 – 5 key indicators (range, comsumption etc), which I like to see. In the ES`s case, you need to access this via the central Remote Touch system, again you can`t access while in motion, the car needs to come to a complete stop. I am sure Lexus will relook at this, in the same BMW was initially slated for the I-Drive and Mercedes for their Command systems respectively. It is a work in progress for all manufacturers to relook at how we interact with our cars via technological interfaces. This is probably the best part of our entire review! 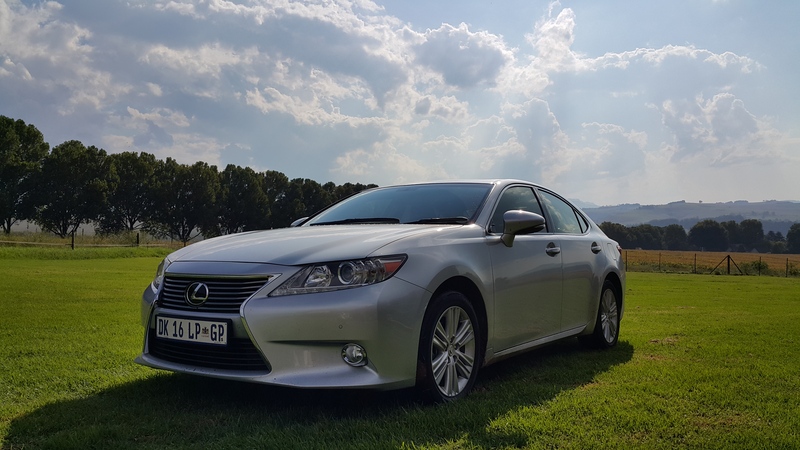 The ES250 automatic, starts at only R 478 900, and we managed to find a few demo models online with very low mileage (www.cars.co.za), that showed very good pricing for the bucket load of extras that this car came with. This car made my entire family happy and for me that is more important than anything else. When you consider all of things that make up this car, you have to wonder why more people don’t buy the ES. I think that a lot of this is only to do with marketing. As I said before, this car is like the guy at your office year end function, who leaves the party early to take some of the older staff home. He would be the guy you call to pick up your mum at the airport, if you were stuck in a meeting. 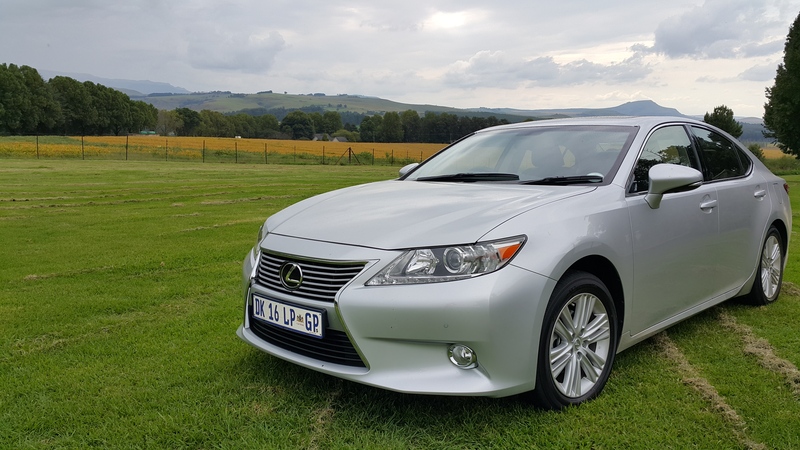 In fact, this car would do the honours of driving your daughter to her wedding, because with all the things being considered, Lexus and Toyota make some of the most reliable cars on the planet. We just sold our family Corolla and Tazz, after 17 and 11 years of use respectively, so we know. Before you buy your next luxury car, please try this one first! Things we loved include the blind spot monitor, the heated seats and massive space. The sound was pretty decent too. We hope in future to see some uprated engines in their next iterations, but also had a really good time driving this car during our family holiday! I would recommend this car to anyone who is looking for an alternative to the sometimes common Audi, Mercedes and BMW badges available – especially in this hotly contested segment. They all manufacture great cars, this one is just packed with really great standard features! This entry was posted in Car Review, Car Test, Safety Overview Lexus, Vehicle Test. 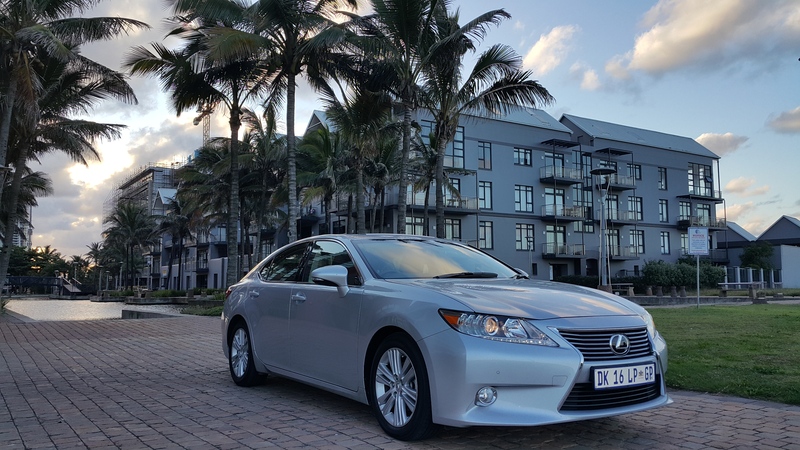 Tagged Automatic Luxury Car, Blind Spot Monitor, Blog, Car Review Durban, Car Review Lexus ES 250 South Africa, Drakensberg, Lexus, Lexus ES250, Lexus SA, Lexus South Africa Review, Luxury Sedan for family, NHTSA, Rear View Camera, Safe Family Car, Safety Rating 5, Toyota SA, Toyota South Africa. its true most people do not really know much about the Lexus family, it like a secret society that is really open to everyone, unlike any other cars out there Lexus is not out there, it take a person with very simple but sophisticated taste to understand the beauty of Lexus, ”if you know what i mean”. Silence really does speak volumes. 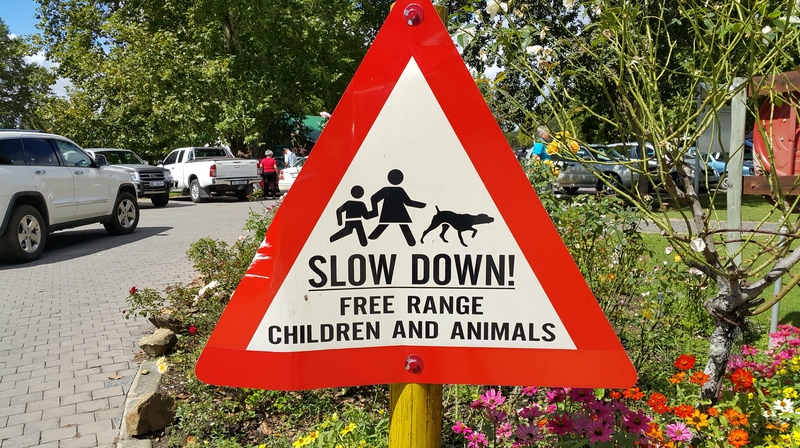 They truly are under the radar, especially in South Africa. We are hoping readers like you, will one day take a Lexus for a drive and potentially buy the car. It is truly classy! 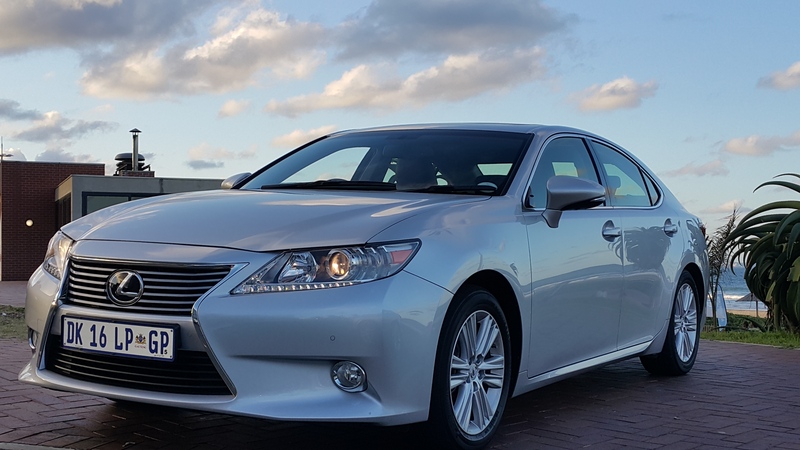 I have book Lexus ES 250 executive model in Singapore yet to be deliver end of June without knowing much about this car. very comfortable and happy about it. Super stuff! It is a really great car, great value for what you pay. It also delivers a very comfortable ride. Thanks for reading the blog and please share with your friends!